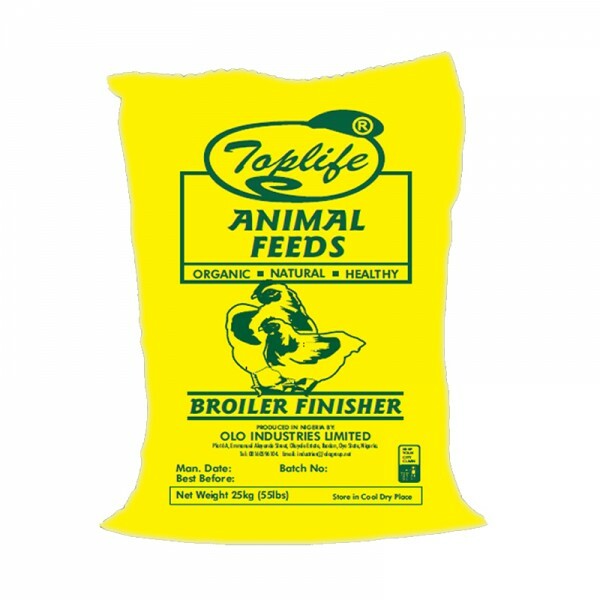 Toplife®Broiler Starter Pellets:a high protein product for chicks from day 0 to 4 weeks of age.Protein is about 23%. A typical chick will eat about 67g per day. To be stored in cool dry place.Analysis - Available on request or with OrderPackaged in 25kg sackGross weight – 23.06kgNet weight - 2..
Toplife® Layer Finisher Pelletized : a complete feed for chickens from about 15 weeks to 22 weeks or until they begin laying eggs, whichever comes first. Protein is about 16%. A typical young chicken will eat about 60g per day. To be stored in cool dry placeIngredients – ..
a high protein product for layer chicks up to 6 weeks of age.Protein is about 20%. A typical chick will eat an average of 60g per day. To be stored in cool dry placeAnalysis - Available on request or with OrderPackaged in 25kg PP/PE Woven sackGross weight – 23.06kgNet weight - 23kg..